London has been named one of the world’s top cities in the architecture and design industry, according to FX magazine in its 17th annual awards ceremony. The ceremony, held at the Grosvenor House Hotel in London last night, was attended by 1,200 guests and honoured world-class design excellence by selecting winners from thousands of entries across 21 categories by a panel of esteemed judges. Over 20 judges from the world’s leading practices were recruited this year including: Jestico + Whiles, Aedas, and Buckley Grey Yeoman. Across the 21 categories, London was the only city to claim eight awards: ‘Public Sector’ went to Rock Townsend; ‘Mixed Use Development’ to The Manser Practice Architects + Designers; ‘Surfaces’ to Desso; ‘Workspace Environment’ to Pauls Crofts Studio; ‘Lighting Design’ to BDP; ‘Breakthrough Talent of the Year’ to Giles Miller; ‘Interior Design Practice of the Year’ to Universal Design Studio and ‘Outstanding Lifetime Contribution to Design’ to Mark Major. Manchester and Birmingham also claimed an award each, taking the UK to ten awards in total. 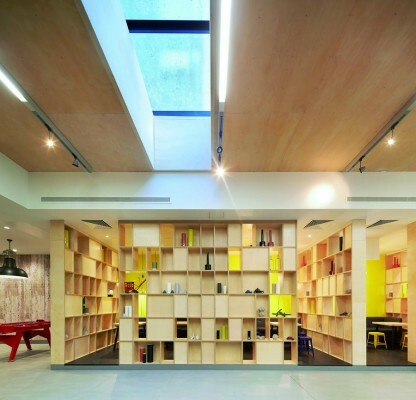 The ‘UK Project of 2015’ award went to Regatta HQ by SpaceInvader (Interior Design) and Fletcher Rae (Architect), while Chris Eckersley claimed an award for the ‘Drawing’ category. The only other country to come close to this number of awards was China with four awards. 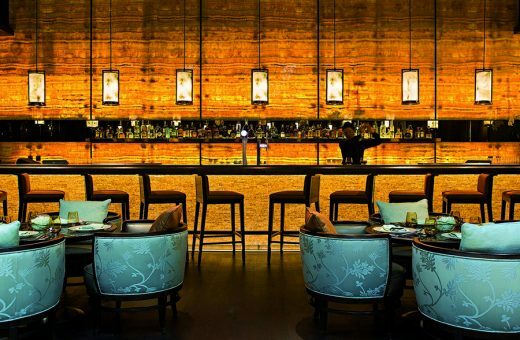 Yuan is the first fine-dining Chinese restaurant at Atlantis The Palm, Dubai. It demonstrates the ethereal beauty of old China and provides a truly elegant and graceful environment for discerning guests to enjoy an authentic Chinese dining experience in the Middle East. The spacious and magnificent dining hall features ethereal tones of blue and grey, with a row of tables and high-back chairs sitting on a glimmering raised platform. The design has a contemporary touch and a delicate lighting scheme. A dazzling bar located aside has a luminous backdrop of beige onyx stones and a mosaic of mother-of-pearl shells. The upper dining hall is adorned with Chinese embroidery wall panels, while curved benches with refined cream brocade sit on a soft rug. Beyond large screen doors lies the panelled private dining room, flanked with koi-patterned glass feature walls and uplifted by an aquamarine carpet. 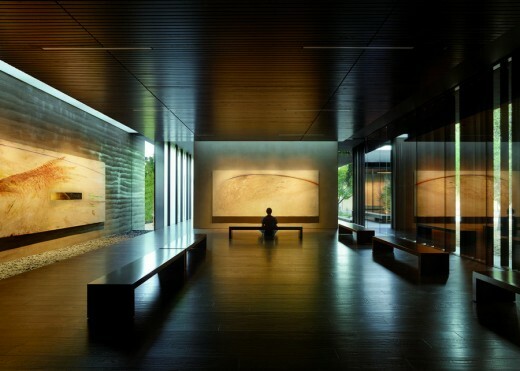 The Contemplative Center is intended for quiet reflection throughout the day for any Stanford student or staff member, as well as members of the larger community. The Center is conceived of as a unification of art, landscape and architecture. Louvred skylights wash the Nathan Oliveira paintings in natural light. The remaining space is kept intentionally dark to focus the visitor’s attention on the naturally highlighted paintings and the landscape beyond. Water is used throughout as an aid for contemplation; fountains within the main gallery and the courtyard provide ambient sound while a still reflecting pool to the south reflects the surrounding trees. Exterior contemplation spaces are integrated into the use of the Center, allowing views to the natural surroundings as well as to the paintings within. CoeLux is a scientific breakthrough with a ground-breaking optical system based on nano technology to artificially reproduce natural light and visual appearance of the sun and sky, off ering a breakthrough opportunity for indoor architecture. This unique system has myriad potential applications across the retail, residential, healthcare and hospitality sectors, enhancing the wellbeing of the user. It can literally change the way spaces are experienced, particularly in underground spaces such as subways and parking garages. 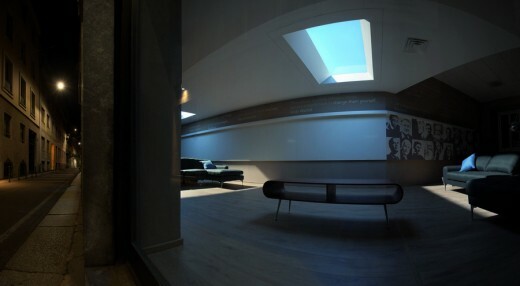 CoeLux comprises the latest LED technology to recreate the full richness of the sun. Myriad nano-particles reproduce Rayleigh scattering, a natural phenomenon featuring the interaction of sunlight with the atmosphere, creating the celestial blue we see in the sky. The aim was to relocate the Psychology Department into the university’s new campus. The brief was to create a department that felt completely different to the rest of the university, which held its own identity and ‘brand’ and also a welcoming space for students with a variety of different workspaces. The individual offices allow for an appropriate level of privacy between staff members and quiet space where students can work with their tutors. The central space provides a dedicated social learning area, encouraging greater interaction and collaboration between students and staff. Galleries and the FX Drawing Competition. 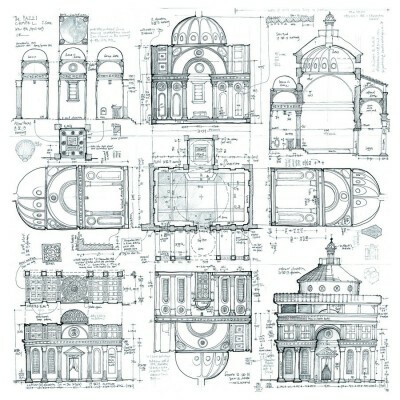 His drawings of Brunelleschi’s Renaissance building of the Pazzi Chapel of Santa Croce in Florence are in the words of one judge ‘achingly beautiful’. He examined, measured and drew the buildings again and again to reflect the proportions of the Renaissance principles of being rational, logical, mathematical and humanist in their construction. Another judge commented that you could love his drawing without knowing anything of the Renaissance or the Pazzi Chapel and still appreciate Chris Eckersley’s expressive, emotional and artistic skill of drawing. Spring Mews is a mixed-use development comprising 378 bedrooms of student accommodation, a 93-bed suite hotel, office spaces and new public realm in an old industrial site in the Vauxhall Nine Elms Opportunities Area. 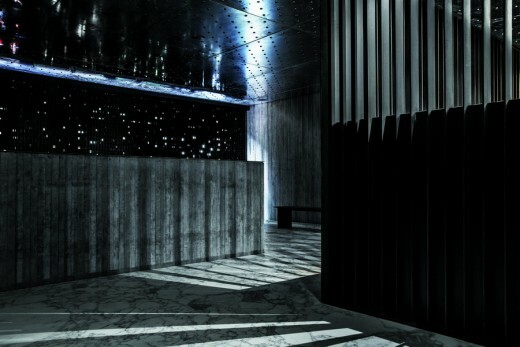 The suite hotel interior had to comply with brand standards while still achieving a level of individuality. The original Staybridge brand was challenged, moving the brand on to suit contemporary lifestyles and focusing on being more ‘Home than Hotel’ by providing all the benefits of a hotel with all of the comforts, flexibility and freedom enjoyed at home. The Frame Store offers a three-dimensional experience that creates an innovative area, which surprises and inspires. Looking from the front is an installation of white rectangular panels and black diagonal frames floating in the all-white space. The panels hanging from the walls and ceiling are intended to function as a white canvas. The content of these can be changed as the front panels are easily replaceable. The flexibility of the panels was important as one of the main focuses was the ability to change the store identity completely. 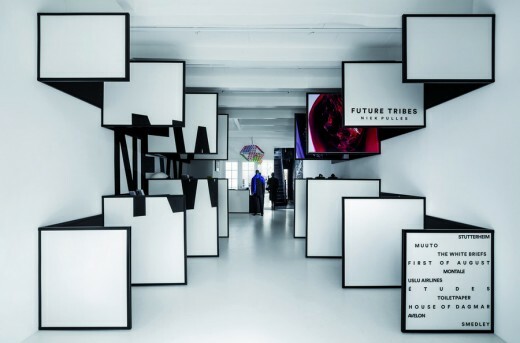 The use of text and graphic art linking back to the magazine’s origins has also been incorporated into the space. looks natural as well as elegant. 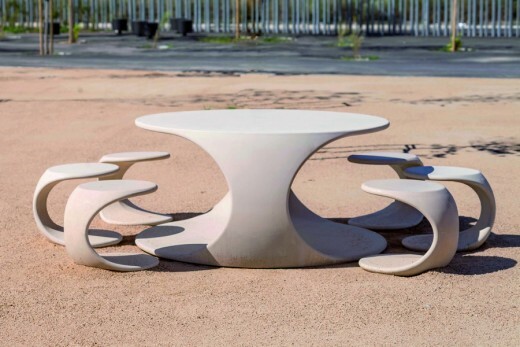 The ODOS range of products designed for public space and landscapes is ideal for anyone wishing to have a meal, a conversation or even to work. Slimconcrete is a technological evolution of UHPC concrete that uses a combination of superior properties that make it possible to design and manufacture fine, complex shapes, in personalised textures and curves. ESCOFET’s specially refined mixture results in a concrete with three times greater compressive, flexural and impact strength than conventional concrete. A sequence of spatial surprises have been created to excite the guests as they discover the hotel. The entire design can be described as a journey of unfoldment of both the physical and psychological senses. Rather than using the most exotic materials, designer furniture and systems, Design Systems drew on enhanced common materials such as concrete, galvanised mild steel, brass, oak and wired glass. The challenge was to enhance the materials’ natural beauty by exploring material textures with surface treatment techniques. The lighting reveals texture, shine and cast shadows, creating beauty which goes beyond the surface. The intricate details of craftsmanship reveal the products’ quality and how they interact with people and other materials. This can be seen in the guest rooms where semi-transparent wired glass is used as a partition, effectively covering the bathroom yet maximising illumination and spaciousness. 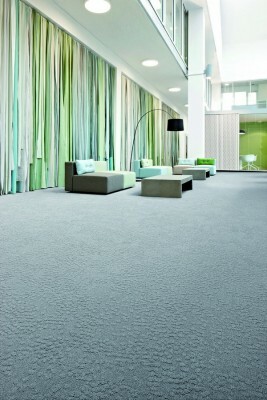 The Transitions carpet tile contains recycled calcium carbonate – chalk – a residual by-product of the water industry. Embracing movement and creative expression, the collection consists of four interpretations of transient times through changes in colour, structure and nature respectively – Fuse, Fields , Pebble and Wave. With organic patterns, shimmering yarns and textured loop piles – Transitions adds warmth and definition to any office space. FUSE animates the floor with contrasting yet complementary colour schemes to help zone and divide large interior spaces. The combination of FUSE and the uni-coloured FIELDS carpet tile allows creative expression with statement floors. PEBBLE reflects the changeable times through nature by recreating the organic patterns of smooth stones. The highly textured WAVE carpet tile reflects the subtle ripples of water on a beach. Work on the project included complete reconfiguration of the space and creating a new entrance and reception area, as well as designing bespoke elements including a bar, seating booths, and shelving. The aim for the interior was to create a work-focused yet relaxed and welcoming atmosphere. The space is divided into an upper and lower floor, which are connected by an inserted half-floor level that features a sunken meeting area. Black-stained oak flooring and subtle lighting sets a relaxed and familiar tone on the upper floor. 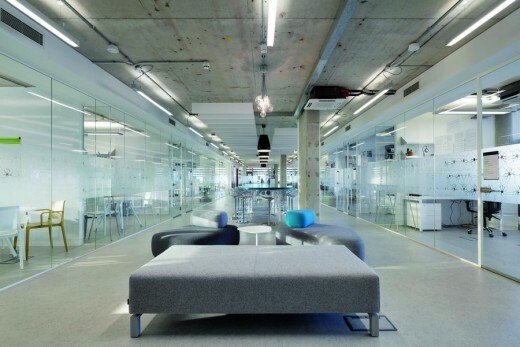 The lower level is the main workspace for the company, comprising an openplan office area and the company’s main meeting room. Oversized fabric pendant lights and flooring laid in a two-tone herringbone pattern further establish the sense of an approachable, non-corporate environment. Leading away from the reception area is the staircase with an illuminated balustrade and recessed handrail. Suspended above the staircase is a commissioned artwork by Czech artist Michal Trpák, which makes use of Fold 7’s brand colours. 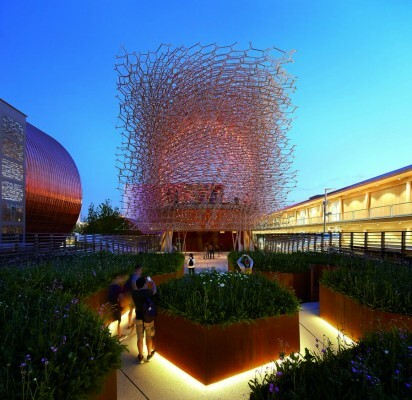 In response to the Expo theme of ‘Feeding the Planet, Energy for Life’ the UK pavilion highlights the plight of the honeybee and ways in which new research and technology are helping to address challenges, including food security and biodiversity. The concept for this explores the life of a bee colony, how to cultivate understanding and insight. The pavilion design takes the structure of a bee colony and reinterprets it as an experience: the pavilion has various spaces and functions that range from the virtual hive, the entrance orchard and meadow walkways – lit in warm white ‘honey’ light – to the conference suite with honeycomb pendants. A Swarm Wall greets visitors on entering, creating sparkle while hosting information about the bee. The end result is a highly integrated yet minimal lighting solution that translates Wolfgang Buttress’s artistic beehive concept in light and blends discreetly with the architecture and landscape surroundings. 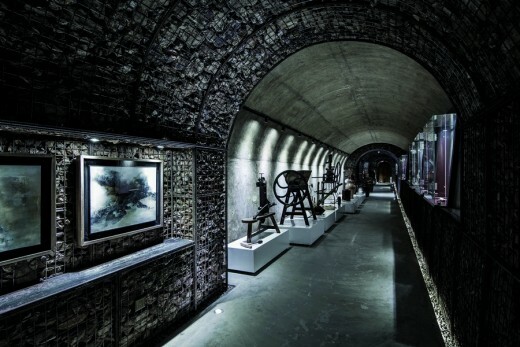 The Yu Geng Shan Wine Museum is located in a Cold War Bunker 20m underground. The aim for this project was to create a wine culture experience that was both educational and experiential. The journey of the visitor through the museum is meant to emulate that of a fine bottle of wine, from planting, harvesting and ageing to tasting – adding another dimension to the wine-purchasing experience. The materials on site served as inspiration for much of the design. The initial construction to the existing bunker exposed beautiful granite rock on the other side of the cemented bunker walls. After a challenging process it became possible to open portions of the walls to the exposed granite, while also using the quarried rock from the site as the primary construction material. This allowed for 75 per cent of recycled materials on site to be used in the finished product. 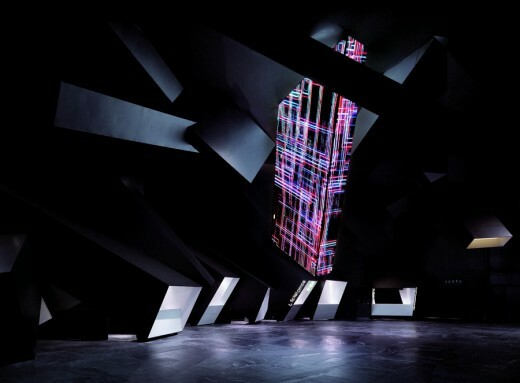 When entering the Exploded Cinema, audiences’ eyes meet with the various-shaped 3D boxes. The dramatic black and white perimeter conveys a futuristic and solitary feeling reminiscent of watching a disaster movie. The designers visualise scenes from movies, creating vivid interiors that welcome the audiences as if they have walked into a real disaster-movie setting. The vibe continues with 3D metal pillars facing different directions, enacting scenes after disasters in which buildings are destroyed. On the ceiling, above the concession, hangs a rectangular LED box that has the ability to play movies or dynamic graphics within the area. Different lengths of black and white stripes in the VIP room continue the 3D theme, adding an edge to welcome the special guests. Grey square-shaped boxes of sound-absorbing materials surround the auditorium, some enclosing light sources that produce minimal light into the dark auditorium. With a monotone of grey engulfing the whole perimeter, it mimics the effect of the concrete rubble scattered in the vicinity after a huge explosion. David Chipperfield is announced as the Architectural Laureate for the 2013 edition of the Japan Art Association’s Praemium Imperiale. The award will be presented by HIH Prince Hitachi, brother of Emperor Akihito, at a ceremony in Tokyo on 16 October 2013. The Praemium Imperiale is a global arts prize awarded annually by the Japan Art Association. Now in its 24th year, since its inauguration in 1989 it has become a mark of the highest international distinction for achievement in the arts. The awards honour individuals from all over the world who have made an outstanding contribution to the development of the arts and are made in five categories – Painting, Sculpture, Architecture, Music and Theatre/film. The Praemium Imperiale was established in 1988 to mark the centennial of the Japan Art Association and to honour the wish of the late Prince Takamatsu, its Honorary Patron for 58 years, “to contribute to enhancing and promoting the cultures and arts of the world”. As well as honouring five international artists each year, it also gives a grant to a Young Artists group, who nurture young talent. The Japan Art Association is the oldest cultural foundation in Japan, established in 1887. It runs the Ueno Royal Museum in Tokyo, and organizes and holds art exhibitions. Prince Hitachi, younger brother of the Emperor, has been its Honorary Patron since 1987. The Association has presented five Praemium Imperiale Awards every year since 1989.